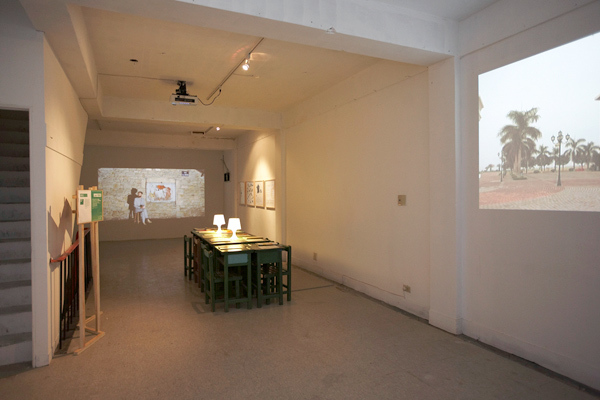 In the essay Earthworms Dancing: Notes for a Biennial in Slow Motion the Raqs Media Collective ask: “…can we imagine a biennale stretching to become something that happens across two years rather than something that happens once every two years? 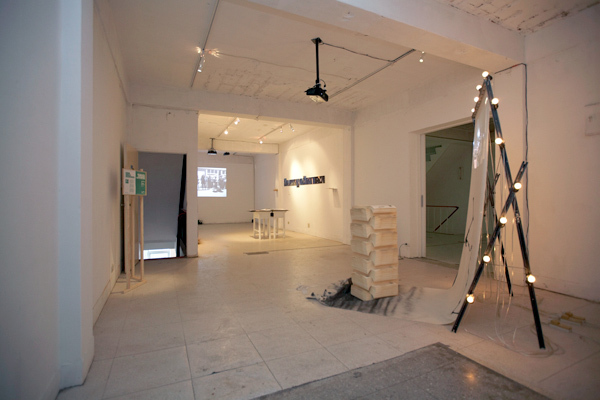 … What would happen if a biennale were to forsake its claim to attention as a single event, and instead stretch across time – break its banks, overflow, demand a different, non-rivalrous order of consideration?” Late last summer in Taipei, two concurrent biennials grappled with the responsibility of the exhibition and its role as local catalyst. Can such a format become but one component of a continuous project? 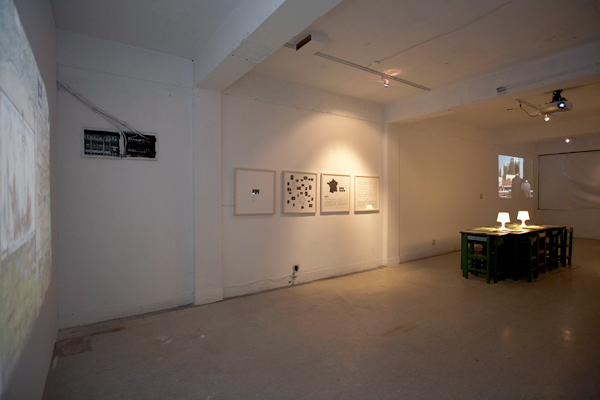 Administered and presented by the Taipei Fine Arts Museum, the tenth edition of the Taipei Biennial co-curated by Hongjohn Lin (Taipei) and Tirdad Zolghadr (Berlin) responded literally to the challenge of dilating time as posed by Raqs. 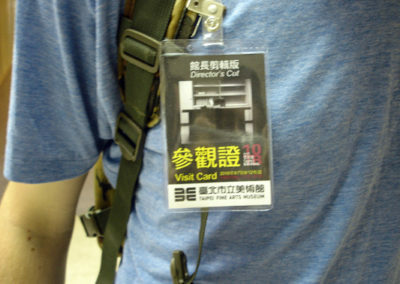 First they restaged projects by Lara Almarcegui, Burak Delier, Irwin and NSKSTATE.COM, Allan Sekula, and Superflex from the 2008 biennial, and then the first group of eleven artists invited to the 2010 biennial were invited to participate in a dialogue with Lin and Zolghadr resulting in a Two Year Project, “…culminating in small group shows – accompanied by an educational program that would actually endure as a Taipei institution.” Although the curators themselves directly acknowledged that such a claim is preposterous, their critique of the autonomy of individual institutions was framed most explicitly not through published or spoken texts, but rather through the biennial’s 24 invited participants. One such artist was Hito Steyerl whose biennial projects alternatively unpacked the aftermath of the 2008 economic crisis, condemned the complacency of artists, curators and spectators or, attempted to cynically subvert sculpture. 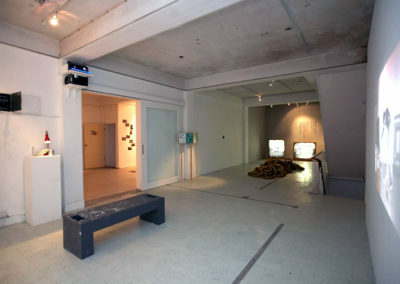 Cleanly placed upon a plinth on the main floor of the museum, a glossy LCD monitor was purportedly shattered by the artist. 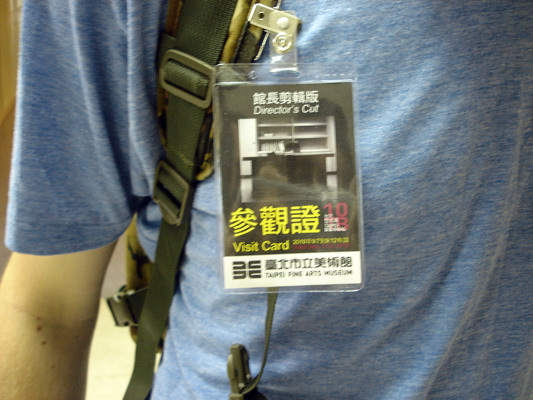 If Director’s Cut dramatized a power-vacuum at the centre of the institution during the six month period that Lin and Zolghadr had to develop the biennial, in Nocturnal Biennial by Jao Chia-En the activities of the Taipei Fine Arts Museum are revealed to be peripheral distractions in the local political context compared to the city-wide Floral Expo, widely criticized as a pre-electoral vote grab for Taipei’s mayoral incumbent. 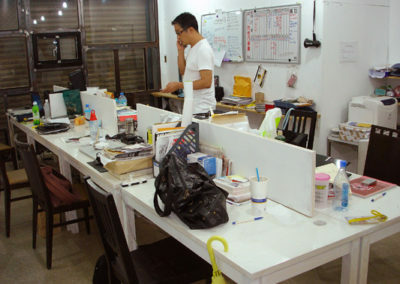 With the two events overlapping during the final week of the exhibition and in the face of increased marketing pressure, Jao proposed that the economic and political power of Taipei be laid bare – with the biennial only open during the times the floral expo was closed. 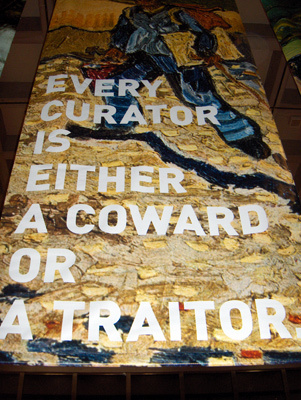 It wasn’t – her project was vetoed by the museum’s administration. 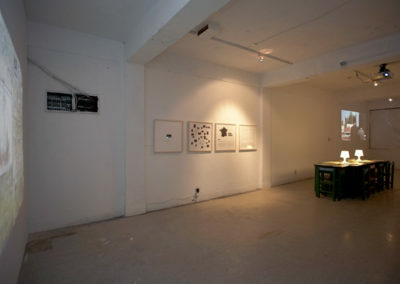 In contrast to Jao’s dematerialized critique of the role of TFAM’s biennial within Taipei’s political landscape, across the city at the Forum Biennial of Taiwanese Contemporary Art, Chou Yu-cheng’s Donation to TCAC – A Project (2010) took as its medium $30,000 Taiwan New Dollars (approximately $1,000 CAD). 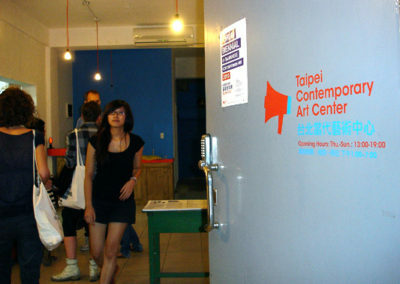 The standard fee offered to emerging artists by the Taipei Fine Arts Museum was bankrolled by the Taipei Contemporary Art Center, which organized and presented the smaller upstart biennial. 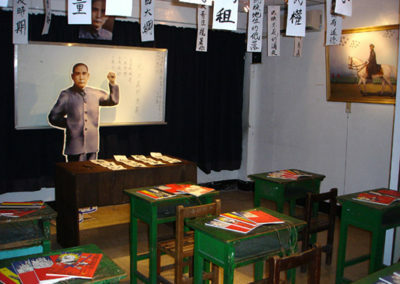 The bills were presented on a secure plinth alongside two documents: a receipt and an agreement of donation, as the fee minus 10% (the going rate for purchasing an invoice in Taiwan) was given back to the TCAC at the conclusion of the exhibition. 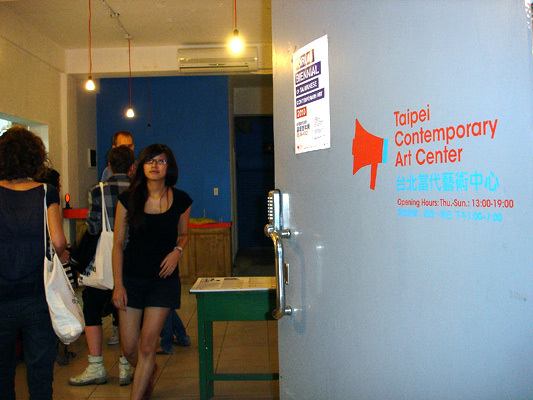 Chou’s project spoke directly to the independent origins of the TCAC, with the renovations upon their donated buildings in the downtown Taipei neighbouthood of Ximen made possible through the support of individuals and the donations of artworks from prominent Taiwanese artists including Chen Chieh-Jen rather than any level of governmental or foundational support. 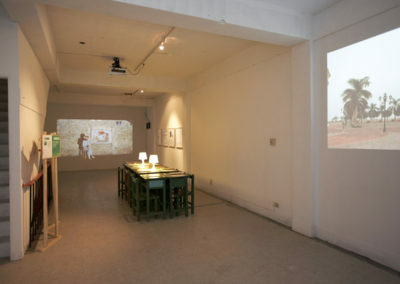 The Forum Biennial of Taiwanese Contemporary Art coincides with the initial two-year pilot phase of the TCAC and they outline the biennial’s twofold pupose as a survey of national artistic production and a discursive platform for public issues. 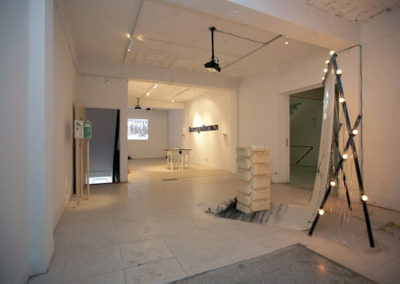 Visiting the city and moving between the practices and spaces carved out by each biennial, one can read a third implicit purpose: a direct reaction to the institution of TFAM, especially considering Manray Hsu who co-curated the Taipei Biennial in both 2000 and 2008 is one of the founders of the independent initiative. 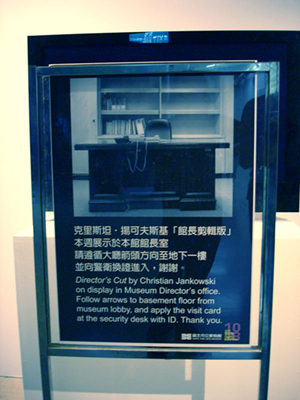 Indeed, it was in the same 2008 biennial revisited by Lin and Zolghadr that the seed of the TCAC was planted, through artist Jun Yang’s project A Contemporary Art Center, Taipei (A Proposal) (2008) where a building was claimed (complete with flag to stake the territory) for the duration of the 2008 biennial and an imaginary future space projected. 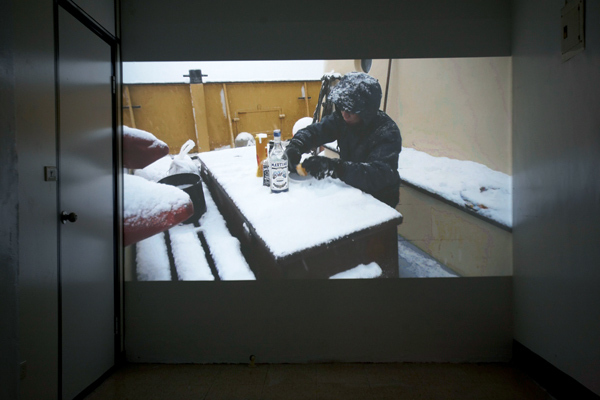 The same year that development of the TCAC got underway (in 2009), Tsui Kuang-yu left behind the lush tropical mountains of Taipei for the barren tundra of Spitzbergen, Norway to take part in the Arctic Circle expeditionary residency program. His resulting video presented at the Forum Biennial of Taiwanese Contemporary Art, 2009 Arctic Diary: The Wrong Ice (2010), is a study in displacement and discomfort. 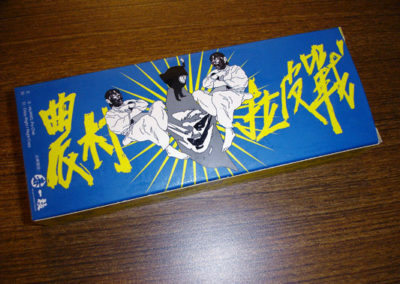 In short, solo narratives, as well as ones involving his colleagues at the residency, Tsui engages in a slapstick aesthetic where the activities which exceed the boundaries of common sense are also experiments in survival. 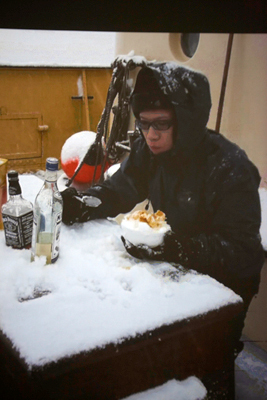 He attempts to serve breakfast using snow as a main ingredient, carves a bar out of the landscape which also serves as the source of ice for drinks, and dodges run-ins with the local wildlife. As the summer humidity penetrating the TCAC space provided an inadvertent site-specific context, the images of lower temperatures enticed me outside. 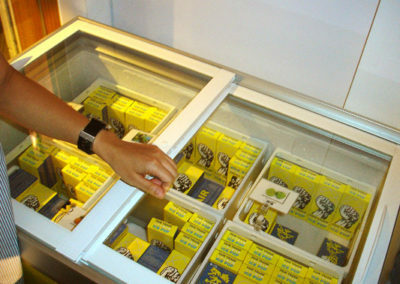 Exiting the TCAC space at 89 Zhonghua Road and making my way to the UrbanCore Café & Bookshelf at the corner, I indulged in Huang Po-chih’s Fair Trade Ice Pop (2010), which compactly traces a narrative of Taiwan’s relationship with the World Trade Organization and exposes the politics of local farming in one tasty treat. 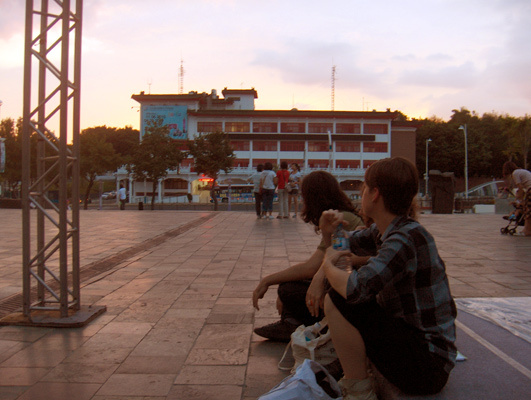 From there I took my refreshment and walked out into the night to the rest of the city that awaits.